One of the biggest recent pieces of news in the NFL world is Chuck Pagano’s return to the coaching fold and appointment at the Chicago Bears. The 58-year-old spent a year out of coaching as a consultant for various teams in the league, but has now come back as the Defensive Coordinator for the Bears. After being fired from the Indianapolis Colts at the end of the 2017 season, Pagano will be looking to regain his status as one of the best defensive tacticians in the game. Due to narrowly losing in the playoffs this term, Matt Nagy’s charges are in need of a few tweaks in order to come back fighting next season. Could this acquisition give the Bears the boost they need? 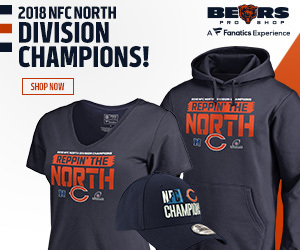 The Bears had a successful campaign under new head coach Nagy, and the former Kansas City Chiefs boss led the Soldier Field side to their first NFC North title since 2010. The NFL’s record winningest franchise finished the season with an impressive 12-4 record and went into their playoff game with defending Super Bowl champions Philadelphia Eagles as strong contenders to progress. However, due to a missed field goal attempt in the final minutes by Cody Parkey, the Chicago side missed out on a chance at making it to the ultimate stage. Bookmakers had placed the Bears as favorites going into the playoffs, and it was a surprise when they were dumped out of the tournament. If they go into next season stronger with more reinforcements like Pagano, it could be worth an early punt on them making the Super Bowl next year. Bwin Canada is a great site for American sports bettors, as it offers markets on NFL, NBA, MLB, and NHL. The old saying, “defense wins championships,” is being put to the test in the modern NFL era, but the Bears obviously think that seeking to improve on their impeccable record this season is the way to go moving forward. All of the league’s top defenses were eliminated in the playoffs this time out, and many argue that the evolving rules are beginning to favor offense. Young, creative coaches are keeping defenses guessing, and the way sides adapt to this could be key in the coming years. Pagano is widely regarded as one of the best in the business in improving defenses. During his time at Baltimore Ravens, the team improved from 9th in passing touchdowns allowed to 1st in the league after Pagano had been promoted to Defensive Coordinator. They also came away with 17 interceptions that season. The Colorado-born coach is known for his ability to stop opposing teams pass attack. Many NFL pundits thought this could be the Bears’ chance to win the Super Bowl for the first time since 1985. But they didn’t quite have the steel to make it to the final stages. With the acquisition of Pagano, and with a few more additions in the off season, Nagy’s side could go all the way next time out.